Criminal Case Hack Update 2018, Safe and 100% work. This is a useful hack for Criminal Case Game, with using this cheat you can instantly finish crime scenes and get high score. This hack has been tested on Firefox browser and the result is 100% work. You can get Criminal Case Hack Update 2018 for free, free download, no password and no survey (absolutely free). If this hack not work, please contact us via Facebook Here or use comment below. Criminal Case Hack Update 2018 was made using cheat engine and we must install cheat engine to make this hack can be open, but just install and do not open cheat engine, because I use protection script in this hack. If we open Criminal Case Hack Update 2018 and Cheat Engine in same time then Criminal Case Hack automatic closed. Hidden Object Scene : Click anywhere and your Hidden Object Scene instantly finish. Time Attack Scene : Click anywhere and your Time Attack Scene instantly finish. Spot The Differences : Click anywhere and your Spot The Differences instantly finish. Puzzle Scenes : Move Puzzle anywhere and your Puzzle Scenes instantly finish (only work on an even number). Supporting tools for Criminal Case hack is Cheat Engine, because this hack was made using Cheat Engine. So we must download and install Cheat Engine so that hack Criminal Case can be open and can be used. Note, do not install cheat engine again if you already install Cheat Engine. 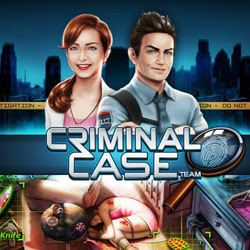 Log into facebook then Play Criminal Case Game. Open Criminal Case trainer, on the trainer click "Select Process" after you find your process browser, then click "Inject" button.